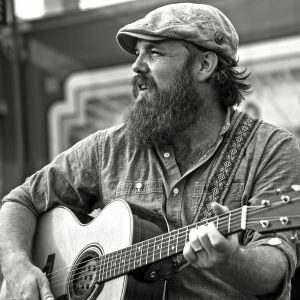 NEW ORLEANS – Cajun rocker Marc Broussard will headline the inaugural Farm and Table JAMBOREE, Saturday, September 9, at 5:45 p.m. at the New Orleans Ernest N. Morial Convention Center (corner of Julia Street and Convention Center Blvd.). The event is FREE and open to the public. In addition to the musical stylings of Marc Broussard, the free family-fun festival day, the Farm & Table JAMBOREE, (September 9) will include a roster of down-home musicians including The Mulligan Brothers, Sweet Cecilia, Messy Cookers Jazz Band, and Spider Murphy. Participants will enjoy chef demos, food and beverage vendors, Kids Zone programming (including live animals on a mini-farm), interactive displays, local vendors, hands-on workshops, tastings, pie eating contest, and more. Farm & Table Experience (September 8) is a gathering to discuss the cultivation, distribution, and consumption of food and drink, food trends, how to source food locally, and many more compelling issues facing the agri-culinary community. All events are open to the public. Chefs Taste Challenge (September 8) is a cooking competition aimed at broadening awareness for the use of fresh, healthy and sustainable ingredients. Ten chefs from the southern region will be selected to prepare a dinner entrée tasting course, and the guests will be asked to vote for their favorite dish. The chefs are required to select from lists of featured ingredients that are fresh and in-season. All events will take place at the New Orleans Ernest N. Morial Convention Center. Farm & Table NOLA is co-hosted by the New Orleans Ernest N. Morial Convention Center and the Louisiana Department of Agriculture and Forestry, in partnership with Whole Foods Market.